Want to work at a startup? Start blogging. So you want to work at a startup. 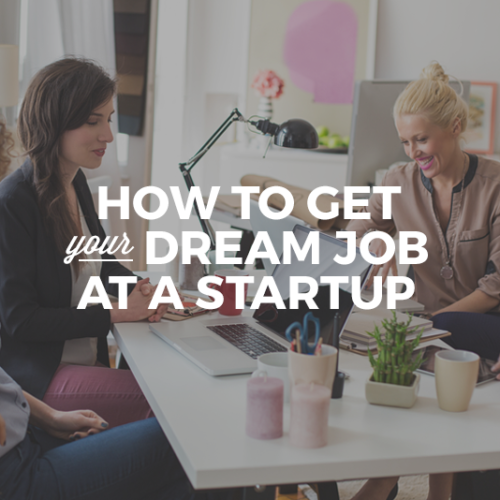 You know how to handle interviews and you know what startup skills you need. You know your strengths and can’t wait to hustle. 3 years ago, I was in the same position. After working in the corporate world of fashion at Louis Vuitton and Aritzia, I was dying to work at a startup. I was particularly energized by Wantering, an up-and-coming fashion tech company, so I wrote a blog post on my personal fashion blog about why I thought Wantering was so game-changing. To make a long story short, the founders were ‘alerted’ to my story via social media, the CEO and I ended up on a coffee date, and shortly after, I was the newest member of the Wantering marketing team. I have since been involved in a number of startup businesses, and I am currently working with Notey, a discovery platform that curates the world’s best blogs. Based on my experience, startups strive to perfect their product and find the perfect product-market fit. When it comes to hiring, startup founders likewise continually strive to find that perfect employee-company fit. After all, it’s common knowledge in the startup world that “culture in a company is set by your first 10 to 15 hires” (Wall Street Journal). 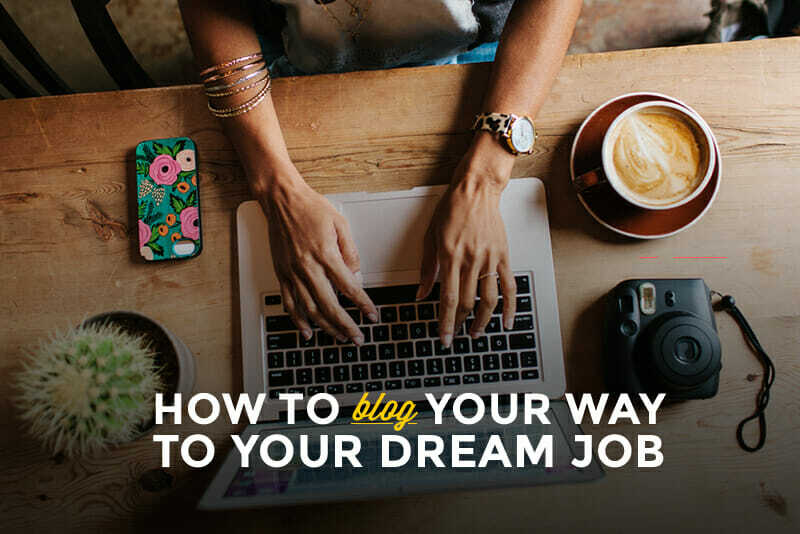 This may be surprising to hear but…what better way is there to show your would-be employers how awesome you are than through a blog? Not only is a blog actual, tangible proof of your versatile talents and online prowess, but a blog also demonstrates your passions, creativity, style (both in writing and otherwise), and your ability to think outside the box and manage a brand (that’s you! ), all at the same time. A blog also gives potential employers a window into the way you work, like how you process information and solve problems. Before we dive in…are you reading this article but, in all honesty, are having trouble imagining yourself at a startup? While they do get a reputation for their 21-year-old brogrammer CEOs, trust me! That doesn’t mean there isn’t a company, mission, and team that is a perfect match for your unique experience. Or are you worried you have to be super techy to get in on the startup craze? You’d be surprised how far a little bit of tech skills can take you in an interview and on the job. 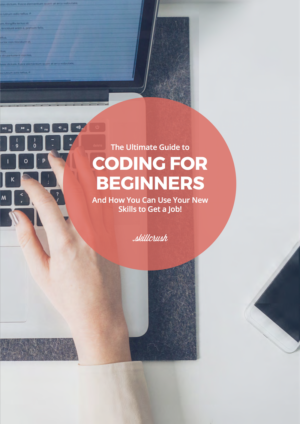 Even if you’re not a full-stack programmer, knowing some basics, like HTML and CSS (and blogging platforms like WordPress) can be the secret ingredient that puts you over the edge to getting hired. And blogging can be the perfect way to establish your expertise and prove your value. “Personal branding is very powerful because it sends a clear, consistent message about who you are and what you have to offer.” (Aspire For Success). Individuals can have as much presence as a big brand (or a growing startup), and blogging is one aspect in your ‘personal brand toolkit’ that will help your brand equity develop and thrive. It acts as an online ‘window’ into your personal self, a sentiment echoed by Ryan Hoover of ProductHunt: “If you read my writing, you will know how I think. If you agree with my analysis and recommendations, you will trust my product decisions. If you disagree, then we shouldn’t work together anyway.” (The Next Web). Your blog will showcase the ways in which you are unique, how you differentiate from others, and what you have to offer, and your blog sets you apart from the crowd in far more ways than a snazzy business card can. In the competitive world of startups, you don’t just need to reach out to others and broaden your network—it’s strategic to become an “influencer” yourself. Thanks to social media, this can be done by simply establishing a following in your area of expertise and/or interest. A blog allows you to tangibly provide ‘proof’ of your authority. Not to mention, your social ‘proof’ will come in handy and garner you a little extra juice when it comes time to leverage your social mojo to help grow that startup when you’re an employee. You’ll become an expert creator—a storyteller (through both words and images), communicator, and thinker. You’ll be able to critically analyze and leverage the ways in which you developed your own brand and blog. What better way to “wow!” your interviewers, provide proof of your skills, and showcase how you’ll be able to bring those techniques to the table? On top of all of that, blogging forces you to learn a certain level of technical skills—you may have to learn how to maneuver WordPress, learn some HTML, and even get the hang of SEO basics. Proving to potential employers you have a solid foundation of skills like HTML, SEO and even social media up your sleeve is absolutely essential if you want to work in the startup landscape. Plus, 99% of startups have or want a blog of their own, for marketing and branding purposes. If you have the full range of skills and experience to manage and grow a blog, you bring a wildly valuable marketing skillset to the table. Once you get your blog up and running and grow a bit of a following, guess what? Your confidence will increase exponentially. You’ll become desensitized to communicating and publicizing your opinions. If you were reluctant to put yourself out there to begin with, blogging and owning your digital persona and thoughts will become your new status quo. But What Can I Even Blog About? Okay, great! Starting a blog is a great move if you want to get hired at a startup, but what if you aren’t really sure what to write about? This one is everyone’s favorite—who doesn’t like to talk about the things they love? These should primarily be related to the industry you’re trying to break into (whether that is technology, fashion, or 3D printing). If you really want to make a splash, stand out as an expert. If you want to join a fashion startup, write about newsworthy brands (J. Crew versus Zara), analyze industry issues (the eco-friendly movement) and critique (or give love to) current practices you think need improvement. Gloria Chik, founder of the lifestyle blog, urbanebloc, did just that. After years of blogging about her interests—fashion, food—she was hired at Tunezy as their Director of Marketing before they were acquired by SFX Entertainment. Stay up-to-date on current events (knowing what is going on in the world is always ideal if you want to be a real contender for a job), and then write about them. Include your own personal twist. If we wanted to read about facts and information searchable on Wikipedia, then we would go to Wikipedia. Opinions matter (and are much more interesting than dry content that lacks any entertainment value). Are you dying to do front-end design work for an eCommerce startup? Share your thoughts on graphic design trends, admire an up-and-coming company’s branding, or create tip sheets for others in your space. Another idea? Do your research to check if the founders or other employees at your desired startup have their own blogs. Comment on relevant posts and show you also have the brainpower to contribute thoughtful conversation. Include stories on (for example) your favourite apps, product reviews, inspirational founders, and why you’re a die-hard Xiaomi versus Apple fan. Even better? 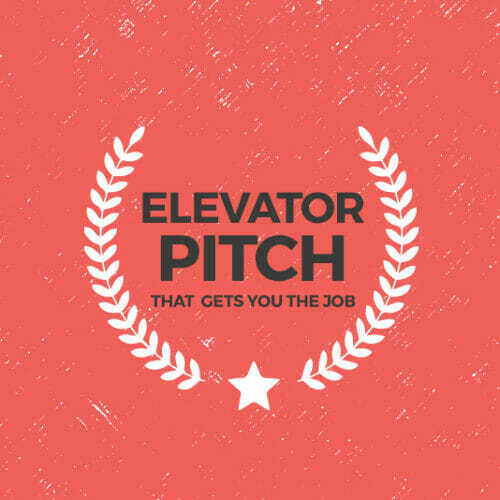 Write a story on the actual startup you want to work at—like I did! Use their product, learn the company inside-out, and pen a post on why you love their latest features and why they are the next best thing. Showcasing your “tech space” prowess will demonstrate your experience in the field, as well as your passion for it. Your future-employers would be lucky to have someone so plugged in! If you’re not already, I recommend reading and subscribing to the following tech and startup-focused blogs: Mashable, Re/code, Fast Company, Venture Beat and TechCrunch. This is quite literally your time to shine—a space dedicated entirely to you. Make use of it. Showcase yourself and all the knowledge that you have! Look at what questions people are asking (those comment sections are so useful when it comes to brainstorming for content!) and answer them. If you’re a social media star, what Twitter secrets can you share with others? If you’re a copywriting connoisseur, what tips can you share on writing headlines? If you’re a web designer, what sites have you designed? If you’re a developer, what apps have you worked on? Show how fabulous and well-rounded you are through your knowledge and interest in passions outside of “work”. Whether that is food photography, philanthropy, a personal project (perhaps you’re building your own 3D Printer! ), or poetry—show yourself off! Cindi Leive, Editor-in-chief of Glamour Magazine said it best: “…you want to hire people who have something going on in their lives besides work.” (New York Times). And if you REALLY get stuck, try the Hubspot Topic Generator to help you turn keywords into blog post topics in a snap. So there you have it. Even if you don’t think you’re a good writer, or you think you’re not experienced enough to be considered an expert in your field, seriously, what’s holding you back? Give yourself a shot, and allow the world to see through your eyes for a change. If you really want THAT gig at THAT startup, blogging can give you the competitive advantage that makes you stand out. In the wise words of Ryan Hoover of ProductHunt, “Blogging is the new resume,” and I wholeheartedly agree (The Next Web). An energetic world beater with a penchant for connecting people, digesting content, and eating breakfast – Alice Ko is a former financial professional turned marketing strategist. Alice is currently the Digital Lead at Notey, a topic-based discovery platform which curates and showcases the world’s best blogs. Notey uncovers the hidden-gems of the internet and allows you to search for any topic—like Design, Women Entrepreneurs or Travel. 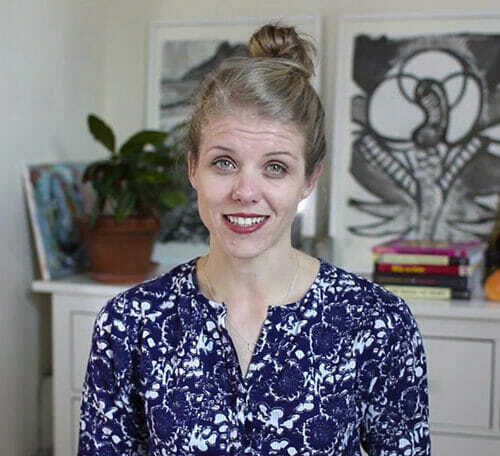 After working for some of the biggest names in consumer products, including, Louis Vuitton, Remy Cointreau and Aritzia, Alice left the corporate world of finance to scratch her creative itch at startups – and hasn’t looked back since. 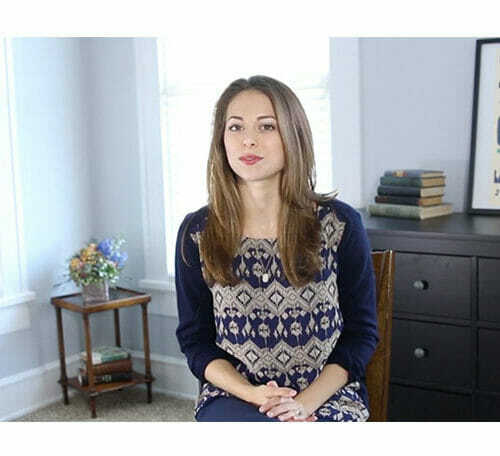 When she’s not busy creating paleo-inspired desserts, growing avocado plants or volunteering her time at Ballet BC, you can find her reminiscing about life as a New Yorker, listening to podcasts and working on her blog, Love Your Mornings. This morning bird can be found on Twitter and Instagram at @kokostiletto.